British Travel Awards - Winners! 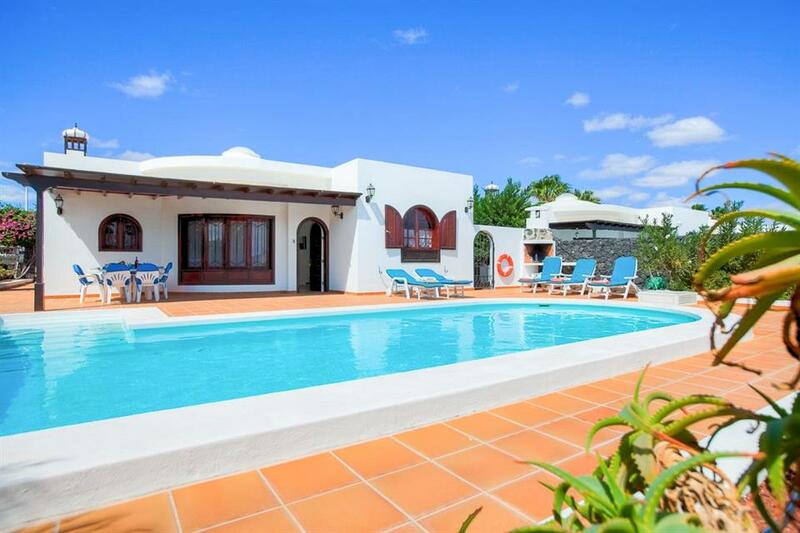 Located in one of the most popular residential streets of Puerto del Carmen, villa Eva is a delightful three bedroom, two bathroom villa on calle Risco Prieto, conveniently above the old town and within walking distance of several bars, shops and restaurants. Set over one level, the comfortable lounge with a large flat screen TV with a Netflix account & dining facilities and leads towards a fully equipped kitchen. One double bedroom has its own ensuite bathroom and two further twin bedrooms share a shower room. 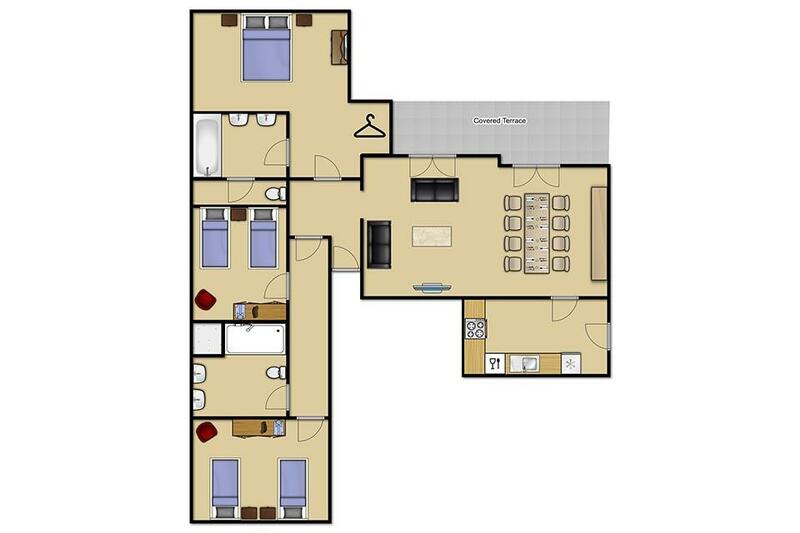 The lounge and all bedrooms have air-conditioning for your convenience. Patio doors from the lounge and double bedroom lead out to your outdoor living area with private swimming pool which has heating included between November and April. Also outside you have a large covered terrace and pergola to the side, rattan sofa and chairs and a dining table are also located near to the brick BBQ. 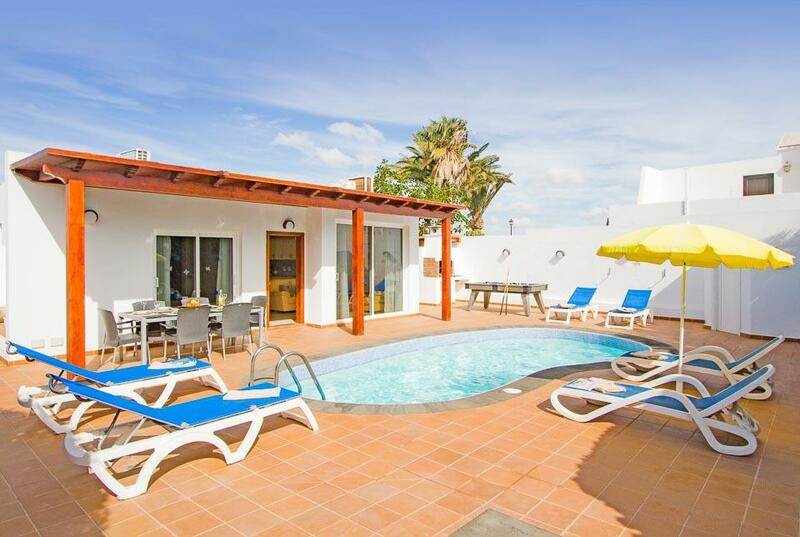 Additionally villa Eva comes with extras such as a pool table and table tennis for everyone’s enjoyment. Location is the key for villa Eva, a number of restaurants, bars and shops are only a few minutes’ walk away and the old town can be reached within a 10 minute walk. 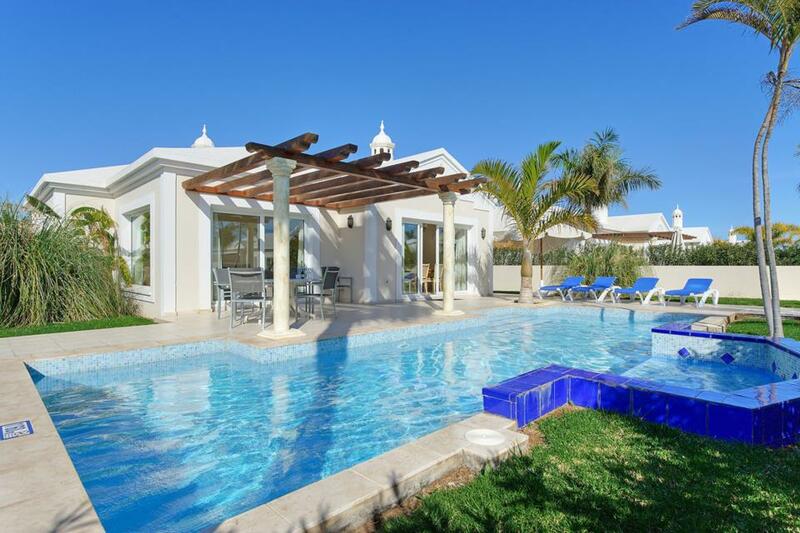 Villa Amanda is a lovely high quality detached villa in a convenient location boasting a private heated swimming pool and a hot tub. Situated a short 10 minute stroll away from the popular resort of Puerto del Carmen, where you will find a huge sandy..
**Save up to 25% by arriving and departing on the standard changeover day**This delightful detached villa is conveniently located just 460m from the beach, shops and restaurants that make up the popular “strip” in Puerto del Carmen. The villa is benefits..